Missed us much? 🙂 I know you haven’t heard from us a while now. But you will definitely forgive us once you see what we’ve got prepared for you. There are some pretty exciting goodies our team has been working on to make you happy! Do you recall a page builder that we’ve got for the homepage, where you can easily manage blocks and content around? Well, guess what? Now it is available for other pages as well: Pricing and custom content pages. 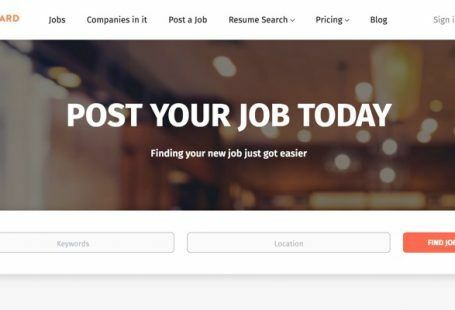 Add Text, Job Alert form, Job list, and much more to whatever page you like, with just a few clicks. 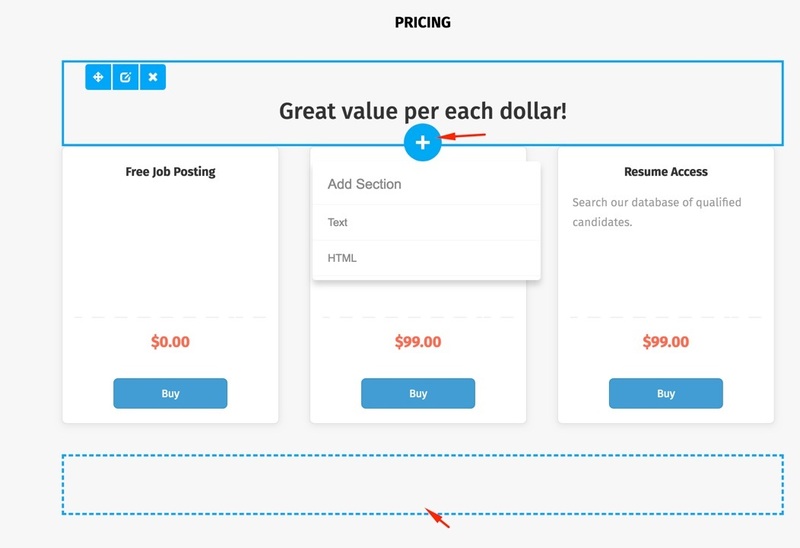 Make your Pricing page more informative, by adding nice content above or below product boxes. Your customers will thank you for extra info :). We totally get that one of the biggest representation of your brand is your logo, and it is very important to make a loud statement about who you are through your site appearance. I’m sure, you can appreciate this freedom to pick the ideal logo size that will better match your site layout! 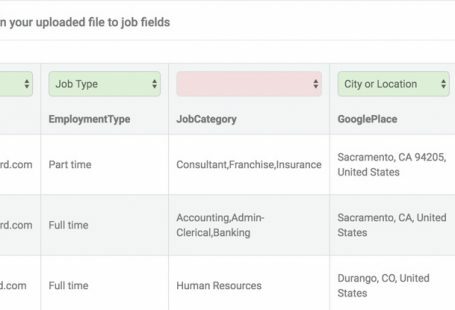 We have added a new goal (“Job Alert”) that will help you get more insight on your job board performance, by looking at the job alert creation/usage data in detail through your Google Analytics interface. To create this new goal in your Google analytics account you need to reconnect it in Settings > System Settings > Google Analytics. 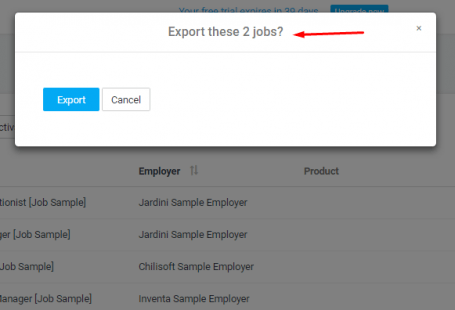 New Update: Job Auto Import Improvements and Much More!